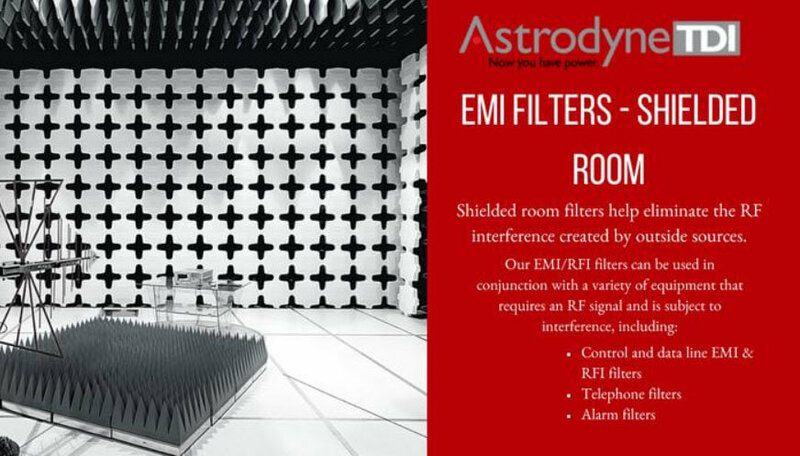 Astrodyne EMI and RFI Shielded Room Filters » HHP Associates, Inc.
EMI and RFI shielded room filters help eliminate the RF interference created by outside sources. Astrodyne’s EMI/EMC/ RFI filter capabilities help your products meet all their requirements and achieve “Mission Success” in the ultimate application. They are a uniquely integrated company for advanced design, engineering, manufacturing, testing and technical support offering a complete selection of power line filters. Standardized as well as customer-specific solutions – with full engineering support – help customers meet international compliance standards and improve the immunity and safety of electrical and electronic equipment. EMI/EMC solutions, ranging from small 1-phase components to powerful 2500A/690V industrial 3-phase filters. Most standard catalog items carry international approvals (UL, CSA, CE).